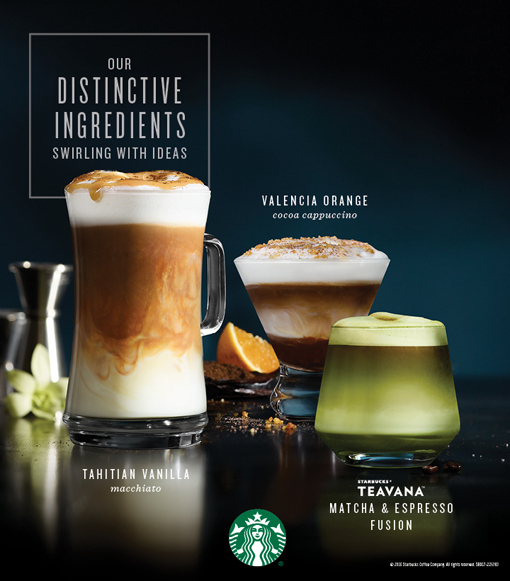 Starbucks is delighted to introduce Starbucks NEW espresso beverages with unique and sophisticated treats for coffee lovers. The redefined beverages vary in flavor, texture and experience but espresso is always at the core. Starbucks Baristas craft carefully selected ingredients with espresso to produce stunning combinations of flavors and layers. Craving for a unique floral aroma and mild sweetness on your Coffee? The Tahitian Vanilla Macchiato offers a twist on the classic pairing of vanilla and coffee. Tahitian Vanilla has a unique floral aroma and mild sweetness which pairs the roasty coffee, complemented by a layer of velvety steamed milk. This beverage is then topped with Starbucks signature espresso and finished with vanilla bean specks and vanilla drizzle in Starbucks classic double crosshatch pattern. Need sweet flavory beverage? Starbucks Valencia Orange Cocoa Cappuccino suits the taste of those who need the reinvigorating sweet flavor, a combination of Valencia Orange Mocha Sauce with milk, topped with dense and creamy foam and then layered with affogato-style signature espresso shots. To append more flavor, sweet cocoa powder and tartly-sweet bits of orange peel is added. Want to find out the goodness with Matcha & Espresso Fusion? A Starbucks Teavana handcrafted beverage where Starbucks Matcha powder layered with milk and Espresso Roast creates a beautiful layer of coffee and tea, best enjoyed hot or iced. A good pairing to your favorite cup of coffee is Starbucks New Lunch Choices to satisfy your Lunch out either solo or with friends, especially on busy days. 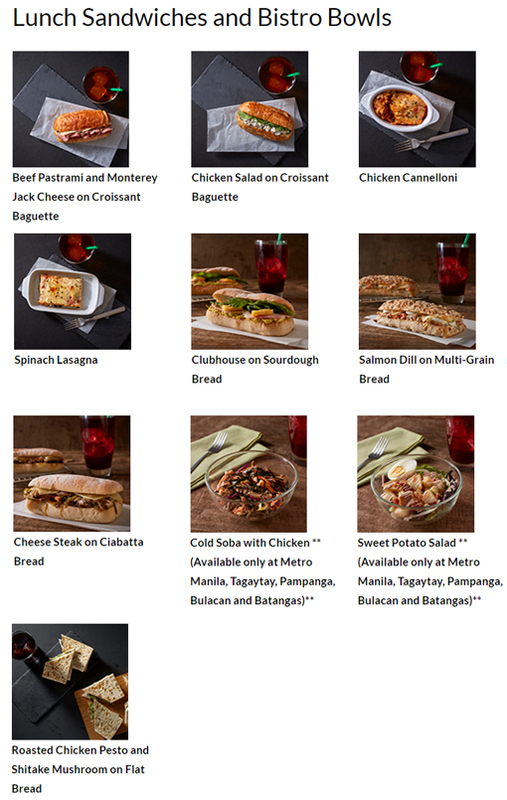 Starbucks Sandwiches such as the Clubhouse on Sourdough Bread, Salmon Dill on Multi-Grain Bread and Cheese Steak on Ciabatta Bread are perfect for quick lunch. New Starbucks Bistro Bowls will also add to your choices: The Cold Soba with Chicken and Sweet Potato Salad are best paired with Iced shaken Tea. 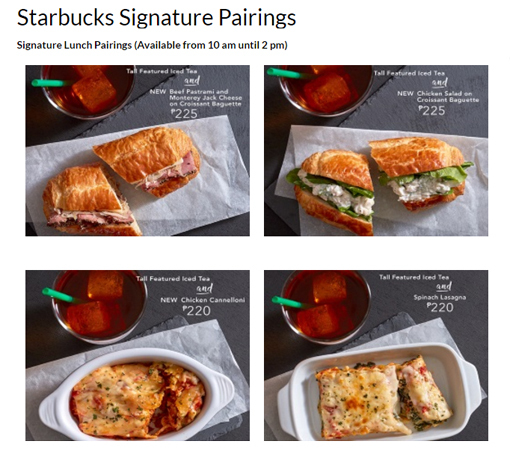 These pairings are available from 10 am to 2 pm with special bundle price, a Starbucks Signature Lunch pairing menu which is also available with favorite Pasta dishes and Sandwiches. Starbucks is also offering New guilt free snacks can be consumed in-store or on-the-go, the Harvest Box Snack Packs are available in three variants: Power Mix, We Love Nuts and Yo Cherry. The Starbucks Tribute Blend is also available for a limited time created in 2011 to celebrate the Stabucks’s 40th Anniversary. It combines the all-time favorite coffees: Ethiopian, Aged Sumatra, Papua New Guinea; and Colombia coffee. 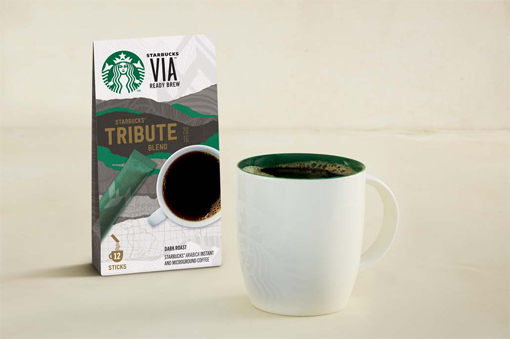 Even on the go, you can also enjoy this coffee with the Starbucks VIA Tribute Blend. 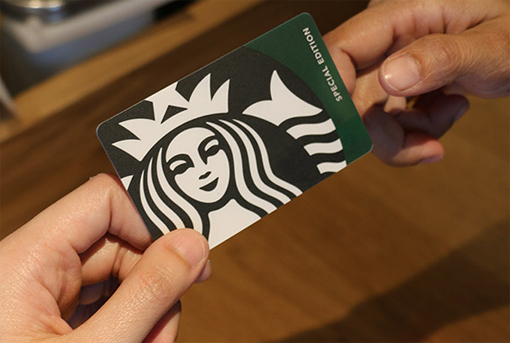 Another addition to your Starbucks My Rewards Card collection is the special Edition Siren Card, available for an initial consumable load amount of 300 pesos. A limit of two cards per day per customer. Now also available in all Starbucks stores nationwide, the Starbucks Cold Brew, the slow-steeped and brewed without heat coffee which was previously available only to Starbucks Reserve stores. 0 comments: on "NEW at Starbucks: Tahitian Vanilla Macchiato & Valencia Orange Cappuccino"